An extraordinary and great lady has just left this mortal life. She was petite in stature, but a giant in spirit. 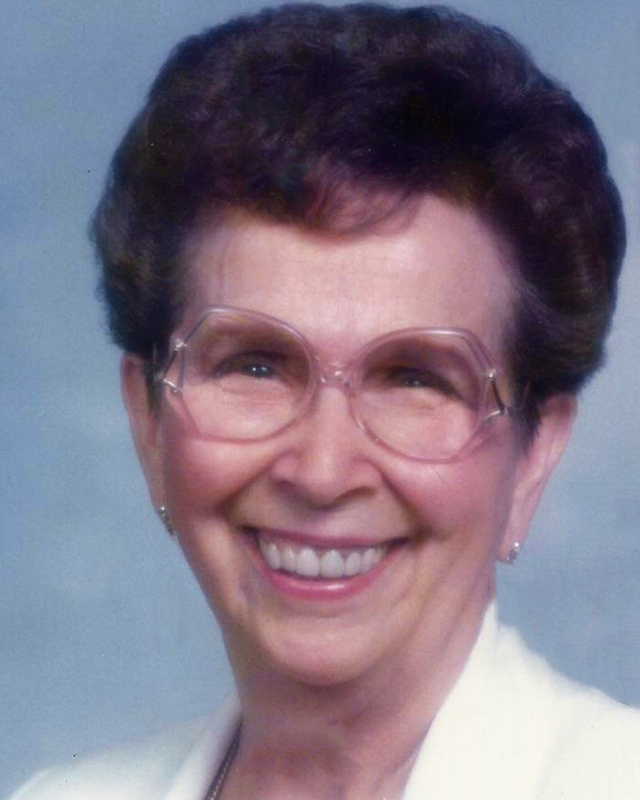 Edith Vivian Richan Roberts passed away on January 8, 2018 at age 93. Edith was born in American Fork, Utah, to William and Matilda Richan on October 21, 1924. Even as a young girl she was meticulous in her personal appearance, indeed in everything she did, and has continued throughout her life. No one makes a bed more thoroughly, and having a home and yard beautifully maintained as Edith. She married the love of her life, Virgil K. Roberts on June 5, 1942 and they walked hand in hand for 74 years, until Virgil passed away. Now, at last, they are walking hand in hand again. Their six wonderful children are: Dennis (Vickie) Roberts, Christine (Fred) Finlinson, JoAnn (Mike) Dubois, Elane (Rick) Palmer, Dave (Wendy) Roberts, Kelly (Marci) Roberts, Wendell and Lisa Blair who also called them Mom and Dad, plus 36 grandchildren, 84 great-grandchildren and 4 great-great-grandchildren. She was preceded in death by her husband Virgil, parents, great-grandson Merrill Christian Dubois, son-in-law Merrill Fox, a sister Gwen Adams, and a brother Keith Richan. She has a brother, Blaine Richan and sister, Ila Thomas still living. They owned and ran a successful construction company of which she was a great partner. In addition, their service for the Church of Jesus Christ of Latter-day Saints has been done tirelessly with honor and dignity. Together they served 4 missions and served over 20 consecutive years as temple workers in the Mesa Arizona Temple. They held many positions in their wards and stakes, being examples of Christ-like attributes all of their lives. Upon retirement, Edith and Virgil spent many happy days at their cabin in Strawberry, Arizona and, until recently, enjoyed their beautiful home in Mesa. Edith will forever be remembered because she has touched and influenced so many people in so many ways. Her smile, positive attitude and a lifetime of unselfish service to family and others will be greatly missed. We, as a family, would like to thank her devoted caregivers: Varie, Monica, Viviana, Bing, Glenda, Francine, Juanna, Ken, Tom and many others. Visitation will be held at Bunker’s University Chapel, 3529 E. University Dr. Mesa, AZ 85213, on Friday, January 19, 2018, from 6 to 8 pm. Funeral services will be Saturday, January 20, 2018, at 11 am in the LDS Ward building at 2835 E Des Moines, Mesa, AZ 85213, with a visitation beginning at 10 am. Edith will be laid to rest in Lehi, Utah, with services in the Wing Mortuary, 118 East Main St., Lehi, Utah on January 27, 2018. Receiving line from 12:30 to 1 pm followed by services at 1. We will say so long Mom, until we meet again. We love you. I would like to cry for days about this. I’m so sad. On the other side, I am so happy that she is with Virgil again, and that they are both where they are….together. I so hope to see them again eventually. Great lady, so kind. I loved being her Visiting Teacher for a time and hearing her great stories. Sorry for your loss. No one can prepare you for a loss; it comes like a swift wind. But take comfort in knowing that Edith is now resting. She has the hope found in God’s word in 1 Corinthians 15:26. To the family of Edith Vivian Richan Roberts. My family sends their deepest sympathy to you. Our thoughts and prayers goes out to you. Psalm 90 verse 12. Been thinking about you Joann, and the rest of your family. Sending lots of prayers and thoughts your way. Hope everything went well in Mesa, and will also in Lehi Saturday. I’ll be there! Although you’ve all been preparing yourselves for this, it’s your mother…the loss is hard. Rejoice in knowing she and you dad are together once again. What a wonderful thing to know!